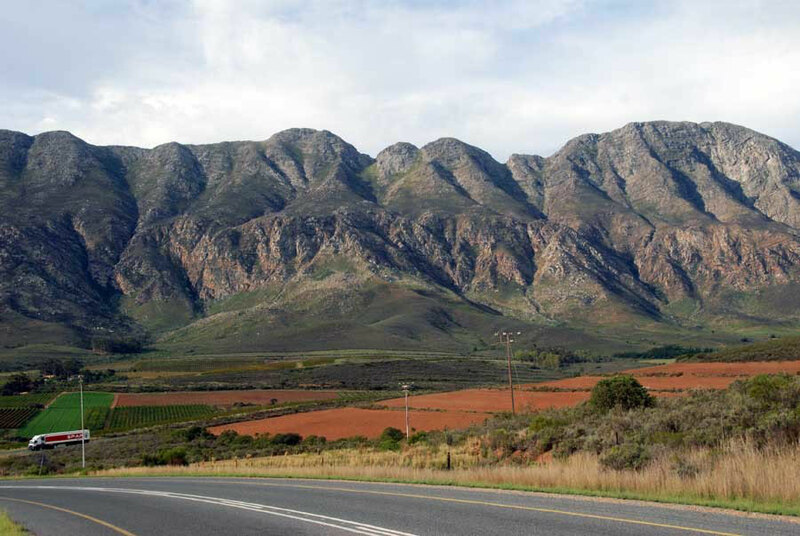 The wine industry in the Western Cape began with the growing of grapes to ward of scurvy for the crews of spice ships from the Indies in the 17th century. The arrival of Huguenot exiles from France gave a boost to the industry and under British rule the Cape became a major supplier of wines to the UK. In 1859 nearly a million gallons of South African wine was exported to the UK. The ending of preferential tariffs and the ravages of Philoxera aphid had a devastating impact on the wine trade. This gradually recovered until massive over-production for a limited domestic market occured. In 1918 the South African governemnt sponsored the formation of the Koöperatieve Wijnbouwers Vereniging van Zuid-Afrika Bpkt (KWV). This putative cooperative soon rose to dominate the entire wine industry and set prices, production quotas and policies. Under the Apartheid regime the wine industry stagnated and up to 70% of grapes grown were either used for fortified wines, brandy, table grapes or thrown away. The ending of Apartheid has seen a reversal in this trend and a growing awareness of modern fermentation techniques. Unfortunately, this has not been matched by progress in the social and economic conditions of the vineyard and fruit orchard labour force. Indeed, the removal of state support post-apartheid has led to the growing indebtedness of many farms and the increasing casualisation of farm labour. in 2011 Human Rights Watch, a US-based NGO, published a damning report on the working conditions of Black and Coloured workers in the wine and fruit industries in the Western Cape. I have extracted some of the report's findings here. This is then followed by a summary of its finding extraced fron a Guardian article below. 603,000 people are employed in agriculture in South Africa. Agriculture is country's 'most labour intensive export sector.' In 2009 the export value of wine from the Western Cape was 5.91 billion rand ($700 million) p.25. Alongside these 630,000 workers 'an estimated 3 to 4 million farm dwellers live on farms in South Africa' p.35. Farm dwellers may or may not work on the farm. Non-working farm dwellers are often family members of farmworkers, pensioners who used to work on the farm, or former farmworkers who no longer work on the farm for a variety of reasons p.35-. There are 121,000 agricultural workers in Western Cape - 50% of whom are full-time, mainly male, workers. p.27 Seasonal workers are women living on farms, migrants from other parts of South Africa and foreign migrants from particularly Zimbabwe and Lesotho. Western Cape farm size averages 1000 hectares with between 4 - 70 permanent workers with some taking on as many as 1,000 seasonal workers p.26. The HRW report is not the first to look at the conditions of farmworkers in the Western Cape or South Africa. And initiatives are being taken to improve conditions. The report concludes, 'It is not clear, however, what impact newer initiatives might have on conditions faced by farmworkers and farm dwellers, given the persistent problems they have continued to confront even after intense scrutiny and promised reforms' p.3. 'The government must greatly improve the enforcement of its applicable labor and land tenure laws, while farmers’ associations and other actors need to undertake sustained efforts to ensure that farmers abide by the law and promote best practices throughout the agricultural sector'p.19. 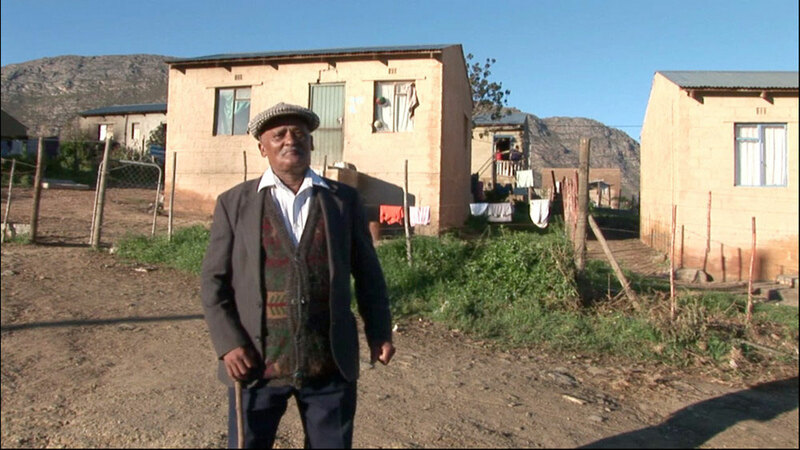 The HRW report was based on interviews with 260 people of which 133 current and ex-farmworkers and farm dwellers. 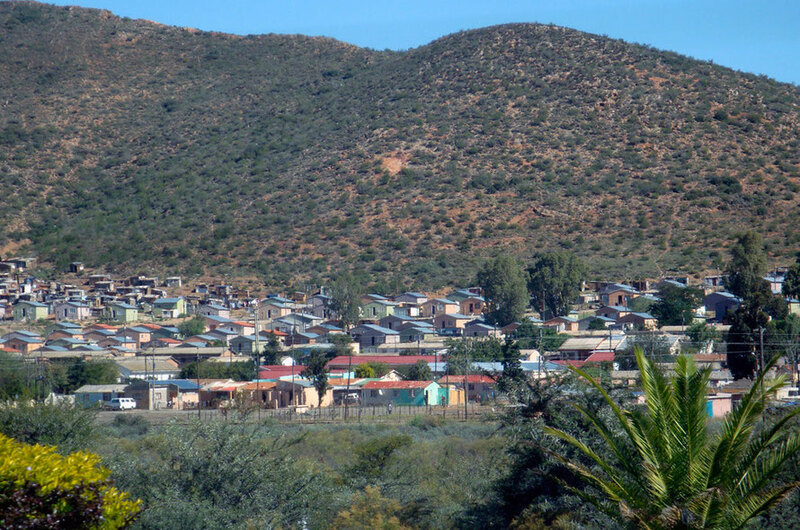 Nkqubela township, outside Robinson in the Breede River Valley (Photo Peg Murray-Evans). Housing for some workers is claimed to be uninhabitable. One farm worker showed researchers a former pig stall, without electricity, water or protection from the elements, where he has lived with his wife and children for 10 years. His wife said: "It makes me very unhappy because I can't guarantee safety of [my] children and can't provide for [them]." Many workers live on farms with family members as part of their employment arrangement. Their land tenure rights are protected under legislation enacted in 1997. 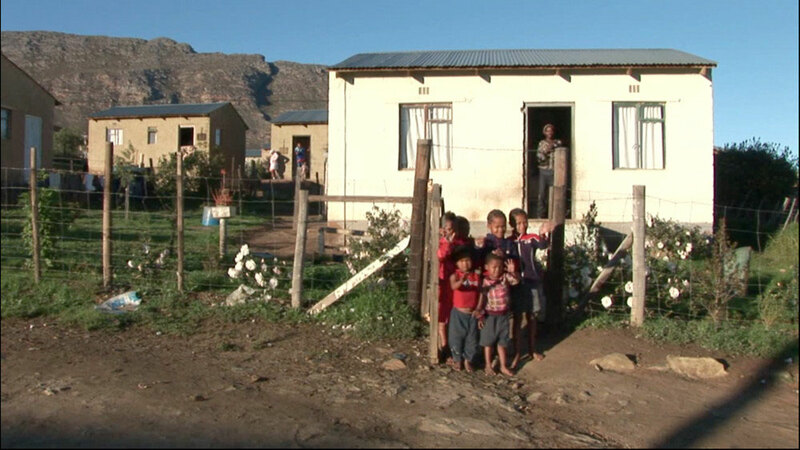 Yet, by civil society estimates, more than 930,000 people were evicted from South African farms between 1994 and 2004. Farmers sometimes resort to illegal tactics to force out farm dwellers, including cutting electricity or water. In one case, farm managers cut electricity for more than a year for a family with two children. Security guards on the farm harassed families in the middle of the night with dogs. Sikhula Sonke, a women-led union of farm workers, says its members now earn the minimum wage of 1,375 rand (£115.82) a month, although campaigners believe a living wage should begin at 4,000 rand a month. For years, they have urged Tesco to use its multi-billion pound profits to help improve workers' pay and conditions.